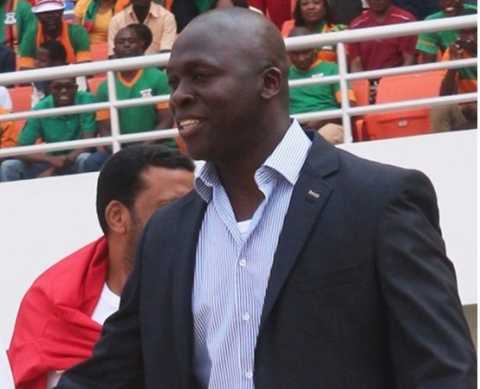 Former champions Zambia must defeat Cape Verde Islands on Monday to keep alive their hopes of reaching the 2015 CAF Africa Cup of Nations quarter-finals in Equatorial Guinea, with coach Honour Janza admitting the 2012 winners are “under pressure”. 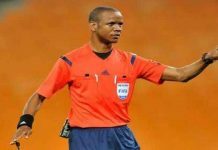 A win for the Zambians in the remote north-eastern town of Ebebiyin would secure second spot in Group B provided Tunisia win or draw against Congo DR in Bata. 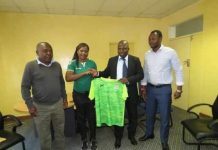 But a victory for the Congolese Leopards would condemn the Chipolopolo to a second consecutive first-round exit since rocking Côte d’Ivoire in a penalty shoot-out to lift the trophy. Tunisia have four points, Cape Verde Islands and Congo DR two each and Zambia one going into the final mini-league fixtures. 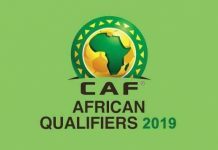 Amid numerous scenarios is the prospect of drawing lots to separate Cape Verde Islands and Congo DR should they draw their matches by the same score. Lots have been used just once before in the biennial African football showcase with Algeria reaching the 1988 knockout stage at the expense of the Côte d’Ivoire. Zambia and Cape Verde Islands clashed in the 2015 Cup of Nations qualifiers with both teams winning at home. A Ryan Mendes goal gave the Blue Sharks a 2-1 win last September and Zambia won 1-0 two months later via a Ronald Kampamba strike. The minimum objective is reaching the quarter-finals. Rui Aguas, Cape Verde Islands coach. Zambia, who have lost injured midfielder Nathan Sinkala for the tournament, must give Emmanuel Mayuka a late fitness test. The Southampton striker injured a groin during a 2-1 loss to Tunisia, a result that infuriated Janza and captain and midfielder Rainford Kalaba. 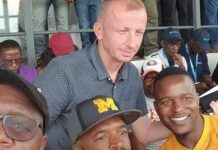 Janza accused his players of being egotistic and selfish in the attacking third of the pitch while Kalaba admitted he did not recognise his team as they faltered after taking the lead. Rival coach Rui Aguas says a last-eight place is the bottom line for Cape Verde Islands, who reached the Cup of Nations quarter-finals on their debut two years ago. “While we want to go further this time, the minimum objective is reaching the quarter-finals,” said the former Portugal striker. Although DR Congo have not beaten Tunisia in three Cup of Nations clashes, veteran Leopards goalkeeper Robert Kidiaba is hopeful. 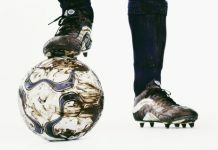 “Tunisia are a formidable side, but they dare not underestimate us,” warned the 38-year-old who is the oldest footballer at the Cup of Nations. 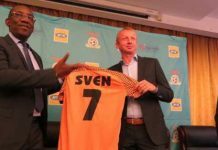 Mr janza pliz the tournament u ar playing it’s not Zambian league or nkana vs konkola no , mr coach pull yur socks ad plan a properlineup today we beg u as Zambian fans God bless u coach.